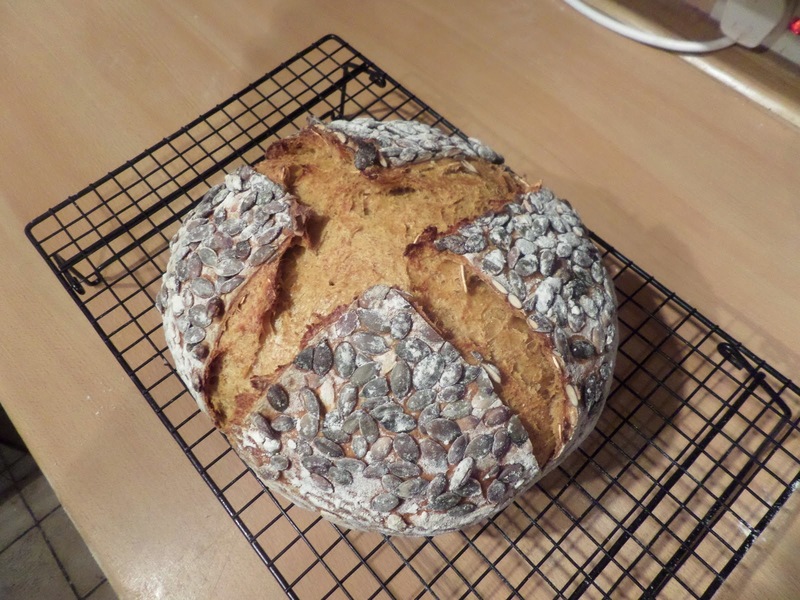 It’s halloween so pumpkin has to go in everything, including this sourdough loaf! I’m using my normal ~1kg sourdough loaf recipe, but replacing the 300g of water with a can of pumpkin purée, and mixing in some pumpkin seeds. 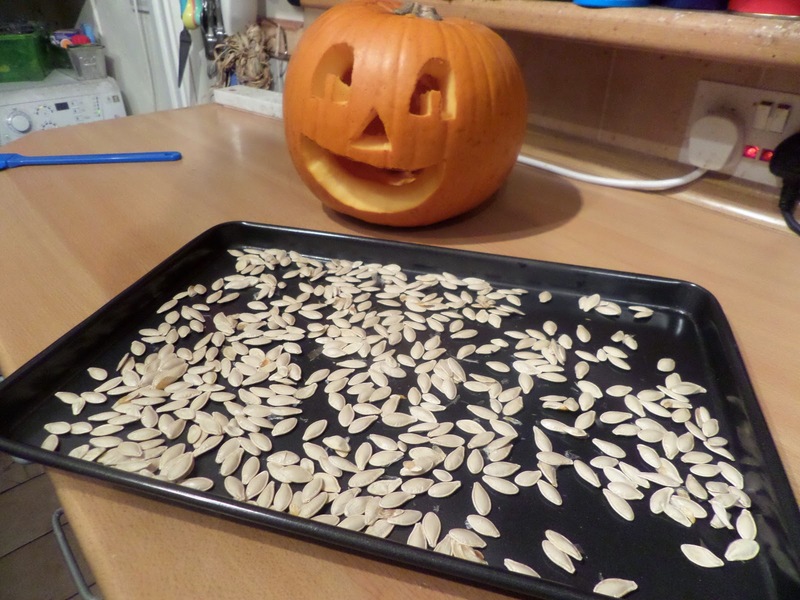 I’m also going to put pumpkin seeds on top, but they’ll probably fall off so I thought I’d better put them inside too. After mentioning my seed issues on Reddit I got some useful advice. Firstly I should remember to toast the seeds before using them, which I’ll certainly do. In fact I ended up using pumpkin seeds from our Halloween pumpkin, which we carved on the Wednesday night, and I toasted them then. 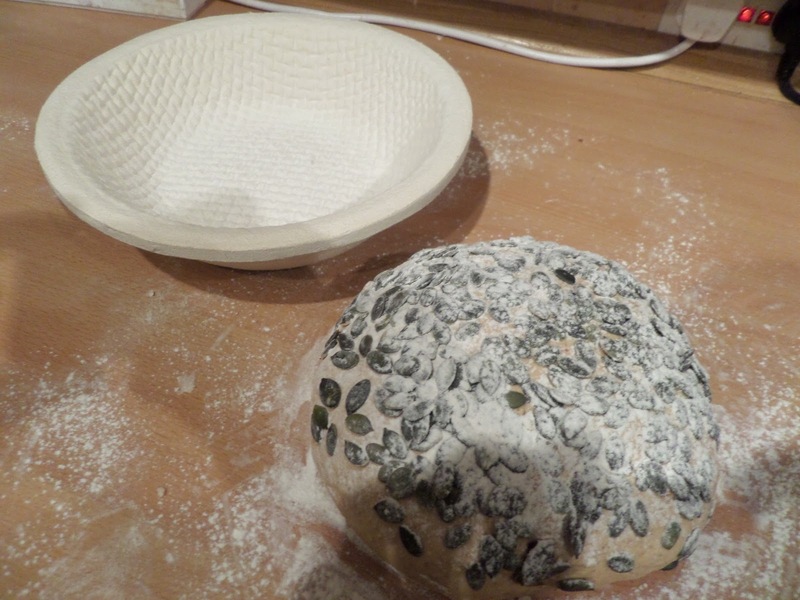 Secondly a trick to getting seeds to stick to the outside of the loaf: glue them on to the loaf using a flour/water mix after the bread has risen. So once I’ve formed my loaf I’ll try this, then flour over again before going into the banneton and fridge proofing overnight. I’m refreshing the starter on Thursday morning, then making and rising the dough on Thursday night, before it proofs in the fridge for about 20 hours before getting baked on Friday night. 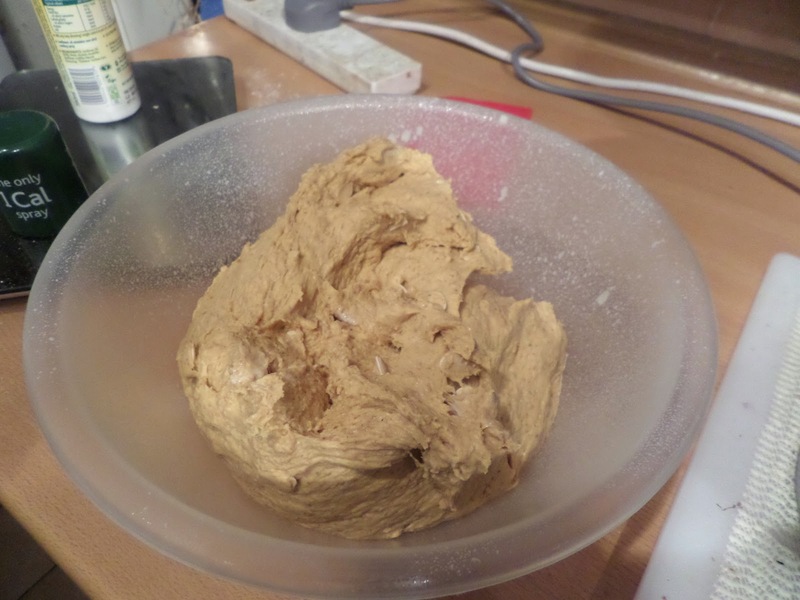 I ended up adding a few tablespoons of water to the dough, as it seemed a bit dry during kneading. 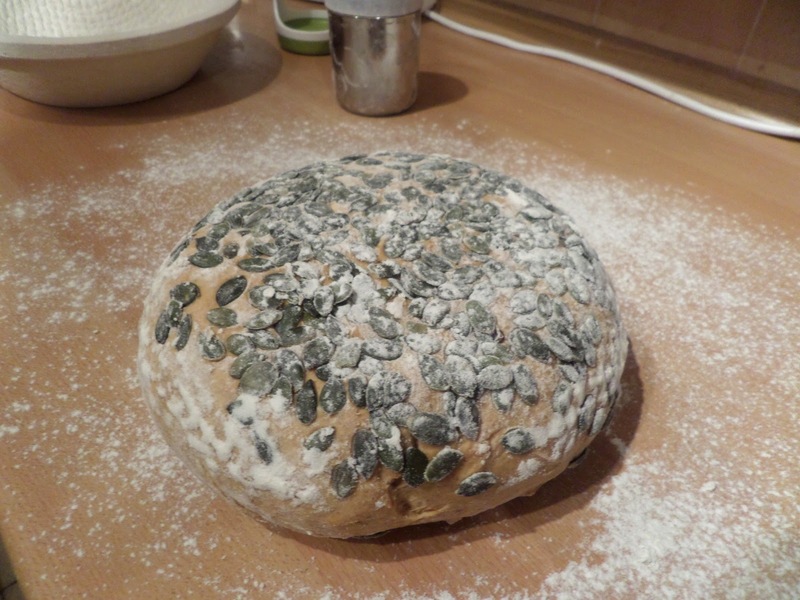 Then I got lazy with the seeds, and just sprayed the formed loaf with water to stick the seeds on. I mean there was flour on there for the forming… so it’s kinda like a the glue I was meant to use! So it’s looking good so far! The scoring was easier than expected too, despite the seeds; I think I’m just getting better at it, plus using oil on the lame really helps. It took an extra five minutes than usual to get the bread to temperature, which I assume it due to all the pumpkin purée. Let’s hope the crumb is good when we cut into it tomorrow! It certainly looks good so you’ve mastered getting the seeds to stick.